A Professor of Classical Art and Archaeology at the University of Chicago, Dr. Robert Lorentz Scranton has pursued archaeological investigations and studied ancient architecture in Greece and Cyprus. He earned his B.A. at Mount Union College in 1932, and his M.A. in 1934 and Ph.D. in 1939 at the University of Chicago. From 1934 to 1938, Dr. Stanton studied as a Fellow of the American School of Classical Studies in Athens Greece. He taught at Illinois College in 1940 and Vassar College from 1940 to 1946. In 1947, he received a position as professor of Classical Art and Archeology at Emory University where he stayed until 1961, when he was offered a position in the Art Department at the University of Chicago. Dr. Scranton is widely known in the field of archeology and was involved in numerous excavations throughout Greece, Cyprus and Georgia. He was instrumental in obtaining funding from the University of Chicago for excavations at Kenchreai, the ancient port of Corinth. He directed five seasons of excavations there and artifacts that he discovered from a 3rd or 4th century church are on display in the Isthmia Museum, Greece. Dr. Scranton's honors include being a Fellow at the American School of Classical Studies in Athens, Greece and a Guggenheim Fellow. In 1952 he was granted an honorary Doctor of Letters by Mount Union. He also received a grant from the American Council of Learned Societies. 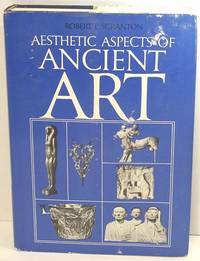 He has authored or co-authored a dozen books and 27 articles in his field including: Greek Walls, 1941; The Monuments of the Lower Agora and North of the Archaic Temple, 1951; Mediaeval Architecture in the Central Area, 1957; Greek Architecture, 1941 and Aesthetic Aspects of Ancient Art, 1964. Dr. Scranton is married to the former Louise Capps of Jacksonville, Illinois. They have a son and two daughters. Biographical update: In 1969, Dr. Stanton became chairman of the Art Department at the University of Chicago, a position he held until 1973. In 1977, he retired and moved to Decatur Georgia where he taught courses at Emory College and Agnes Scott College. Dr. Scranton passed away on January 31, 1993 at the age of 80. His spouse, Louise passed away on November 26, 2003 at the age of 91. They had been married for 55 years and are buried together in Chebeaque Island Cemetery in Chebeaque Island, Maine where Louise used to summer with her family. They are survived by a son, two daughters and five grandchildren. In 1999, the Robert L. Scranton Lectureship was created by the Friends of Robert Scranton. The Scranton Lecturer is chosen by a committee from the Archaeological Institute of America.